Who can resist the sweet temptation of delicious southern BBQ? Join us from noon to 3 p.m. on Sunday, November 11th to sample delicious bites cooked on nearly 100 Big Green Eggs at the beautiful Blue Wahoos Stadium as we celebrate our military men & women on Veteran’s day this year! From savory classics like BBQ pulled pork and brisket, to sweet desserts and cookies – the food prepared for you will absolutely ROCK your taste buds. 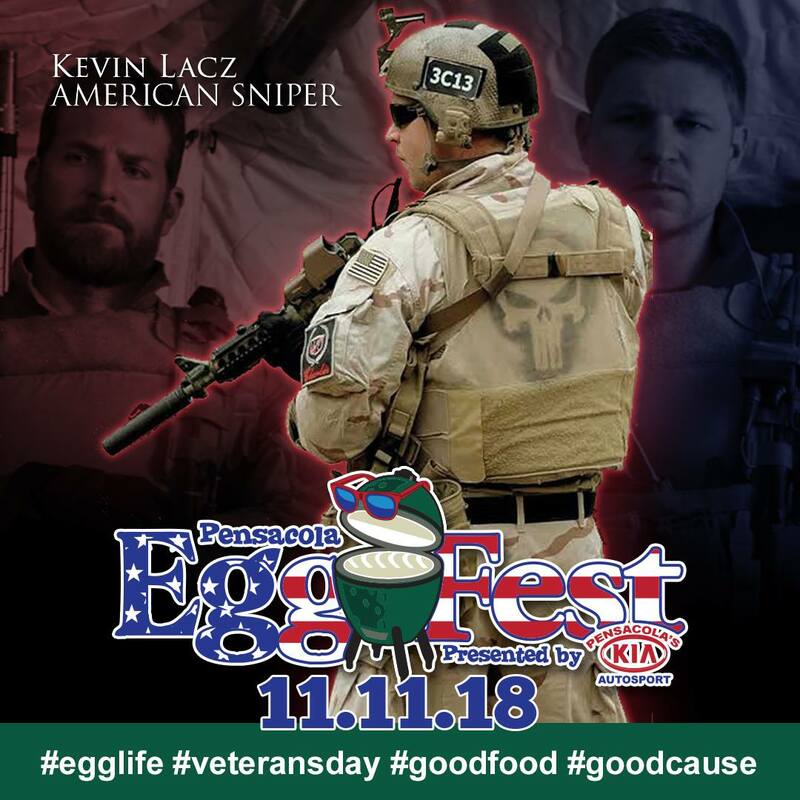 This year will also feature special guest judge, Kevin Lacz from American Sniper. Get your tickets online at www.pensacolaeggfest.com. The Legal Services of North Florida invites you to join them for a full day of live jazz music at Seville Quarter in downtown Pensacola on Sunday, November 11th from 11 a.m. to 8 p.m. This event features national recording artist Eric Lindell, KC and the Irresistibles, Big Daddy and Red Hot Java and Chris Godber. The 4th Annual Jazz for Justice begins at 11 a.m. with a jazz brunch and closes with national recording artist Eric Lindell headlining an amazing lineup of performances to raise funds for free civil legal aid to Pensacola’s most vulnerable citizens. Admission is free. $50 VIP tickets include complimentary food, beer, wine and backstage access in the VIP Tent from 3 to 7 p.m. Visit www.jazzforjustice.org for more information.